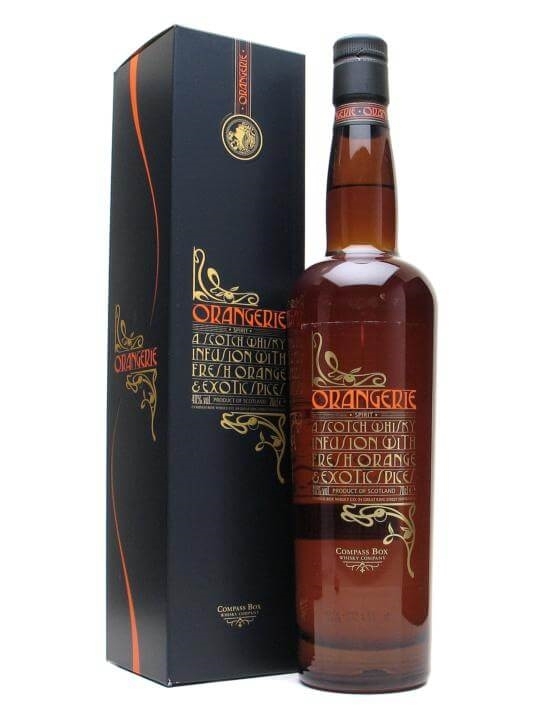 70cl / 40% – The famous Orangerie ‘whisky infusion’ from Compass Box, in simply beautiful packaging. Smooth, sweet Scotch whisky infused with the hand-zested peel of Navalino oranges and subtle accents of Indonesian cassia bark and Sri Lankan cloves. Orangerie is not officially liqueur as it doesn’t have the requisite additional sugar – with this much flavour, it doesn’t need it.